Echo System (Daniel Crommie and Jamie Haggerty) recorded four albums during their two plus years of electronic collaboration, only performing live on three occasions. Two of those performances were recorded and these pieces are from those shows in 1987 – and with the exception of a few overdubs on the first track, they are presented as they were performed live to two-track digital in front of a small audience at East Avenue Tavern in Portland, Oregon. Jamie Haggerty: synthesizers, and tape manipulation. 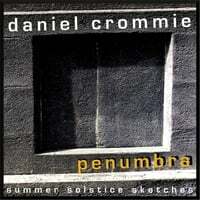 Daniel Crommie: flutes, synthesizers, sequencer, drum programs and tape manipulation.